A Gerard Butler action film! Action movie fans rejoice! 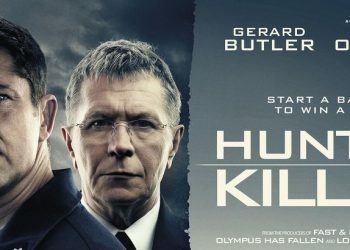 We’re giving away free tickets to catch the premiere screening of the upcoming Gerard Butler action flick, Hunter Killer from the producers of Fast & Furious, Olympus Has Fallen and London Has Fallen. Drop a comment on this post and let us know why you’re excited to catch this movie. – Winners will be announced on the 21st of October 2018. – Winners will be contacted through PM (personal message) on Facebook. Also click here to check out our movie reviews.